Eggomatic - Play the Best NetEnt Cartoon Slots Free Online! 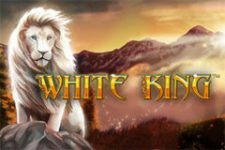 It’s hard to think of a slot game manufacturer who has delivered quite as many unique and oddball slots as NetEnt has over the years. As you might have guessed from the name, the new EggOMatic slot is cast in very much the same mould. It’s loosely a 50’s retro slot. With various sepia film intros and stereotypical people of the day featuring on the cut scenes and pay-table. Faced with declining egg production in this alternate universe the robot rooster and his chickens have come up with a new device – the EggOMatic. With a completely surreal theme and weird playstyle, this is one of the most entertaining free to play slot games we’ve seen in a long time. That said, it’s solidly medium volatility and carries more than enough gambling action to tempt in the more serious players. Step away from the boredom of free online blackjack, craps and keno – or are you too chicken to play on the new EggOMatic? Read on for our full review of this crazy game. For a slot so strange in style and play it is a relief that configuration on the EggOMatic slot is, at least, very straightforward. There are 20 fixed pay-lines on the game and wins form left to right across a standard 5-reel format with 3 rows. Bet range is decent with a low cost of entry of just 0.20 credits and a big maximum stake of 200.00 credits (20.00 in free play mode). Whilst the game has the right options to play on both desktop and mobile equally well we do prefer the full-screen version. It’s this which allows the theme the scale it deserves and it then delights to full effect. The EggOMatic slot’s controls are exactly what you would expect from a NetEnt title. You can adjust graphics quality for play on old devices or for poor internet connections. The music and sound effects can be controlled independently and, there’s an easy to use pay-table. The auto-play feature on NetEnt slots is one of the best out there as you can set it to stop at the feature round or at any number of spins up to 1000. Highlighted pay-lines also make a return on this slot which means very little usage of the pay-table is required to keep abreast of things. 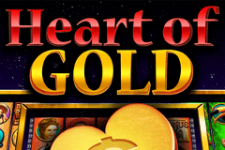 When you consider the popularity of some older slot games, such as veteran IGT titles like Cool Diamonds or Double Diamonds, you have to question if entertainment is that important in a slot. Personally, and online opinion would seem to agree, we think it’s a vital thing. Happily, the EggOMatic slot doesn’t fail to deliver. The huge robot egg factory and its array of robot chickens are fantastic. The audio and sound effects are brilliant and the whole game theme just feels so well integrated. For what is effectively a comedy value slot, this is important. The whole slot is bespoke in design. Even the playing card symbols usually used for low-value wins have been exchanged for some rather tired and miserable looking machined baby chicks – appropriate considering their coin rewards are measly. The reels highlight with bolts of electricity and the EggOMatic machine itself spits out bonus symbols onto the conveyor belt at the top of the game. These extra egg bonuses are incredibly important as they represent your only shot at big wins in the base game unless you manage a big five-of-a-kind combination. Each spin the EggOMatic spews an egg onto the conveyor, these contain free spins, an expanding wild or coins in the base game. They drop down to the reels and activate if a fixed wild appears on the corresponding row. It’s the free spins you want as at that point the game puts all silliness aside and decides briefly, to become a real gambling machine. In all fairness to NetEnt the EggOMatic slot is hardly the only title they have with a fantastic free spins game. On the other hand, aside from perhaps the Drive slot, we can’t think of one which manages to be quite this entertaining. There are up to fifty free spins available depending on the egg you manage to collect and, there’s a re-trigger! It’s through this that you have more chances to drop the expanding wild or further free games and rack up an ‘eggselent’ overall win! With more eggs than the base game and new animations, the anticipation and excitement constantly build throughout the duration of the spins. There is a lot to like about the EggOMatic slot. With a quirky theme and enjoyable game play it’s an obvious choice as a free play slot. As a cash game, it also has its merits. 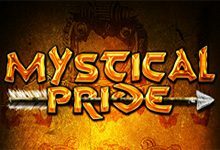 With a medium variance level and high return to player – 96.5%. Overall this is a game that is hard to find fault with. True it does have a very busy atmosphere and it’s sometimes not that simple to follow, whilst the mobile game loses just a touch of the theme. These are minor gripes though and you would be hard-pressed to find something more fun to have a spin at.